The human body is not indestructible. Many of us are plagued by chronic pain as a result of sports injuries, medical conditions, post-surgery effects or gradual wear and tear. With more than 25 years of related experience, we adopt a holistic mind-body approach for the effective management of chronic pain. The variety of techniques employed, range from physiotherapeutic approaches like clinical massage, electrical and ultrasound therapy, to fitness training and Pilates. We believe that an individual’s state of mind is crucial to their recovery; hence, it is our aim to create an ideal environment where our clients can comfortably overcome their pain. We provide cardiac rehabilitative service in a private setting for patients who are recovering from heart attack or post heart surgeries. Clients perform rehabilitative exercises with monitoring equipment, to ensure a safe progression in their cardio fitness recovery. We support the rehabilitation of clients with neurological conditions (Parkinson’s disease, Stroke, Peripheral Neuropathy etc), so that they may gain the skills and confidence required in activities of daily living. 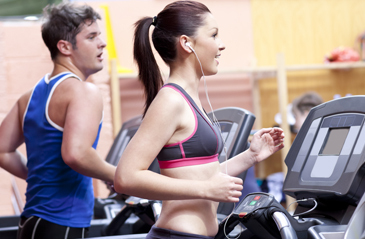 We believe a personal training session is the most effective way to improve your body. A customized program with undivided attention produces optimal results. Integrating the knowledge of medical science and the understanding of movement, you will receive a wholesome workout in building your cardiovascular fitness, muscle strength, endurance, joint flexibility and improving your physical performance. All these trainings are done in the luxury of our clinic and you can enjoy the privacy of training. We cater for couples and friends who choose to work out together, for either physiotherapy rehabilitation, weight loss or fitness training. Exercising together is fun. You give each other the moral and motivating support to push forward, with the benefit of our professional advice. Our program is innovative and fun, keeping you engaged with the exercises and with each other. Pilates was developed during World War I as a rehabilitative regime for injured soldiers. It conditions the body as a whole, while being gentle on the joints, so that core strength and body symmetry is achieved. Our physiotherapist, trained in both classical and clinical Pilates, combines the benefits of both disciplines to "give you a wholesome workout, help you achieve the best results in body toning, managing pain and improving fitness.” Experience an awakening of your mind and body, as you focus on your breath and execute a seamless repertoire of precise movements. With over 25 years of experience, our exercise programs are innovative, challenging and sports specific to meet your needs. We preserve the toughness and effectiveness of old school mental and physical strength training, which we balance with careful monitoring to ensure individuals progress physically without incurring injuries, to achieve greater heights in performance. 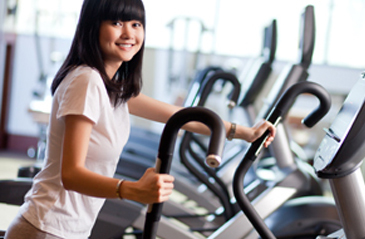 Individual consultations allow us to understand your personal aims in physical fitness and weight management. 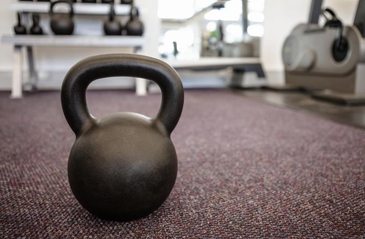 We use a variety of training equipment and adopt various training approaches, including cardiovascular and circuit training, to help you condition your body and to achieve weight loss. Our clinic believes in instilling self-confidence and self-esteem back into your life. Clinical massage is administered by trained professionals compliment the management of musculoskeletal dysfunction, by releasing tension and improving circulatory flow. Musculoskeletal pain is strongly related to movement and posture throughout the day. A worksite evaluation session can help to identify problem areas and provide advice on correcting posture to manage pain and discomfort more effectively. We conduct health and medical workshops on a variety of topics tailored according to the needs of your organization. Please contact us for more details. Personalized training or rehabilitative care services can also be provided in the comfort of your own home.